Checking metal ring on immature male Twite Clachtoll. Ready to be released immature male Twite Clachtoll. 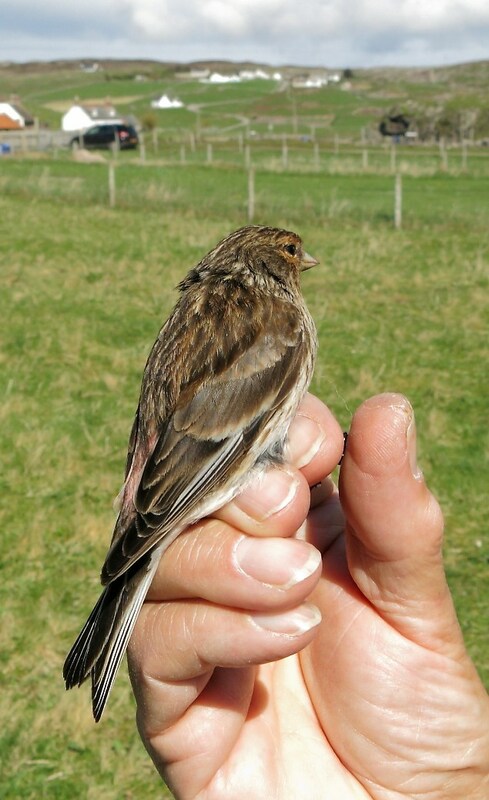 Back in May 2014 we reported on a Twite, Linaria flavirostris, that had been ringed on 16 April 2008 at Clachtoll by Tony Mainwood of the Highland Ringing Group. Tony started his Twite ringing project in 2007. 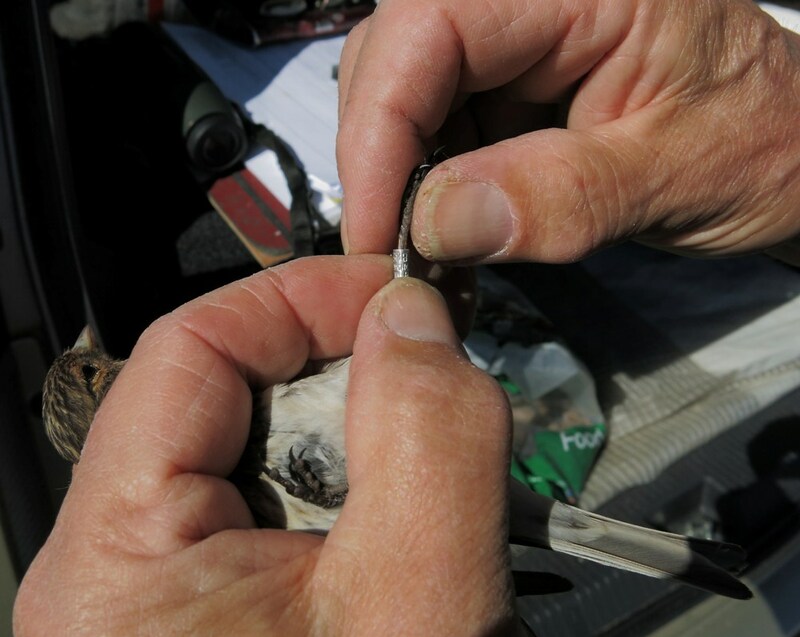 The bird in that report had been re-trapped by Tony at Reiff on 23 April 2014; at that time this small passerine held the record as the oldest surviving ringed Twite ever in the UK at 6 years and 7 days. Tony has been coming to Clachtoll regularly since then but has not seen this bird again. However, on 6th April this year (2017) Tony was back and he trapped 24 Twite and 33 Linnets: 15 of the Twite were re-traps. One of these was a bird ringed by Tony at Clachtoll on 28th August 2010 when it was a juvenile, i.e. born that year. This bird has now taken on the mantle of BTO ringing longevity record for a Twite at 6 years and 223 days!